Comrades, in a more or less developed form, fascist tendencies and the germs of a fascist movement are to be found almost everywhere. With the development of the very deep economic crisis, with the general crisis of capitalism becoming sharply accentuated and the mass of working people becoming revolutionised, fascism has embarked upon a wide offensive. The ruling capitalist class more and more seeks salvation in fascism, with the object of taking exceptional predatory measures against the working people, preparing for an imperialist war of plunder & a redivision of the globe by attacking Russia & China. Fascism is the power of finance capital itself, which recruits the most reactionary minded simpleton elements of the nation. It is the organisation of terrorist vengeance against the working class and its allies. In foreign policy, fascism is jingoism in its most brutal form, fomenting bestial hatred of other nations & cultures. What is the source of the influence of fascism over the masses? Fascism is able to attract the masses because it demagogically appeals to their most urgent needs and demands. Fascism not only inflames prejudices that are deeply ingrained in the masses, but also plays on the better sentiments of the masses, on their sense of justice and sometimes even on their revolutionary traditions. The imperialist circles are trying to shift the whole burden of the crisis of capitalism onto the shoulders of the working people. That is why they need fascism. They are trying to solve the problem of markets by enslaving the weak nations, by intensifying colonial oppression and repartitioning the world anew by means of war. That is why they need fascism. They are striving to forestall the growth of the forces of revolution (the organised working class) by smashing the revolutionary forces & its potential of all united workers and by undertaking a military attack against Russia & China. That is why they need fascism. History has shown, that these imperialist circles have succeeded, before the masses had decisively turned towards revolution, in inflicting defeat on the working class and establishing a fascist dictatorship. That’s why it is imperative that workers are organised and united in action against the victory of Fascism. 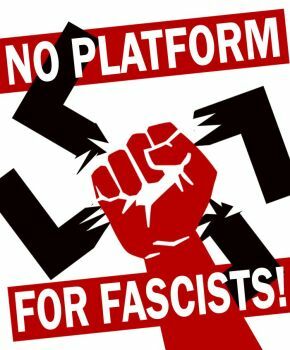 Historically the victory of fascism demonstrates the weakness of the working class, lulled into disorganisation & paralysed by the disruptive policy of Social Democracy (Social Fascism), i.e., Labor Party, Greens & some Trade Union Leaders etc., and it’s class collaboration with the Capitalist Class. The Social-Democratic leaders glossed over and concealed from the masses the true class nature of fascism, and did not call them to the struggle against the increasingly reactionary measures of the capitalist class. They bear great historical responsibility for the fact that, at the decisive moment of the German fascist offensive, a large section of the working people of Germany and of a number of other fascist countries failed to recognize in fascism the most bloodthirsty monster of finance capital, their most vicious enemy, and that these masses were not prepared to resist it. The same process is been played out here in Australia today. It also expresses the weakness of the capitalist class itself, afraid of the realisation of a united struggle of the working class, afraid of revolution & unable to conceal its hidden dictatorship over the working people by the old methods of capitalist democracy and parliamentarism. The first thing that must be done, the thing with which to begin, is to form a united front, to establish unity of action of the workers in every factory, in every district, in every region, in every country, all over the world. Unity of action of the proletariat on a national and international scale is the mighty weapon which renders the working class capable not only of successful defence but also of successful counterattack against fascism, against the class enemy. 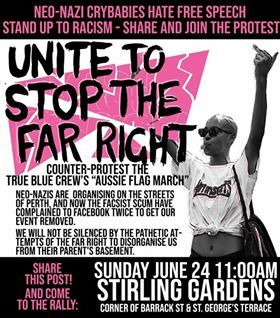 The Bolshevik Club of Western Australia puts no conditions for unity of action except one, and at that an elementary condition acceptable to all workers, viz., that the unity of action be directed against fascism, against the offensive of capital, against the threat of war, against the class enemy. This is our condition.